Also known as osteodynia or ostealgia, bone pain is a general term commonly used by patients and medical professionals to refer to severe or mild pain felt within or around a bone. It can be caused by minor disorders or injuries, but patients should be aware of the symptoms that can indicate serious conditions related to the pain. To identify the prognosis of osteodynia, physicians should determine the underlying problem that causes the pain. To ease the pain felt by patients, it is also important to know the common treatments that they can try. At the onset of symptoms, patients are recommended to seek help from medical doctors. The common symptoms of bone ache include stabbing, sharp and shooting pain in the muscle tissues around the bone, localized and dull ache in the pelvis, sudden and severe pain in the femur. 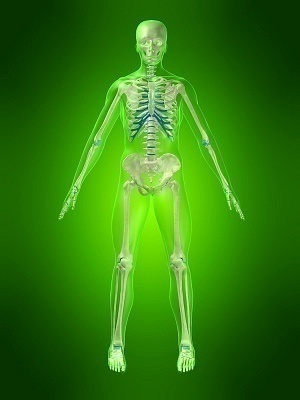 Aside from these symptoms, patients can also experience chronic pain in the bone. If the pain is accompanied by vomiting, weakness, weight loss and fatigue, patients should consult with their physicians because it can be caused by life-threatening diseases like cancer. To determine the prognosis of bone pain, patients are encouraged to determine the cause of the health condition. Some of the minor illnesses or injuries that usually cause bone pain are fractures and osteoporosis. Serious medical conditions that can cause the pain are spinal cord compression, bone cancer, fibromyalgia. Other causes include leukemia, viral illness, sepsis, physical trauma, Paget’s disease and neoplasm. In order for patients to know the appropriate treatments, doctors should conduct diagnostic tests. This condition can be diagnosed with the use of blood tests, x-rays and computed tomography scan. In severe or chronic cases, patients are recommended to undergo magnetic resonance imaging so that physicians can have a closer glance at the actual condition of the patients. When it comes to treatments, patients can ease the pain by taking drugs like analgesics and opioids. Aside from pain relievers, patients can also drink other drugs like antibiotics, anticonvulsants, anti depressants, bisphosphonates and narcotics. However, some of these drugs are prescription medicines, which means that patients should consult with their physicians before drinking the medicines. It is also important that physicians provide prescriptions so that patients can be ensured that the drugs are safe to use and have no side effects. Additionally, in chronic cases, patients are recommended to undergo or try radiotherapy.